Advice You Can Take To The Bank! UK police have the powers to seize vehicles if they believe they are being used to cause alarm, distress or annoyance. 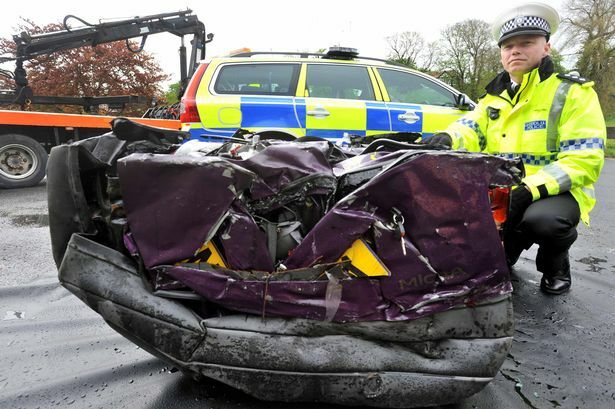 Additionally, police can also seize uninsured vehicles which can then be crushed. Seizing vehicles is covered by Section 59 of the road traffic act. In order to legally seize your vehicle, a police officer needs to be in uniform and additionally needs to have reasonable grounds to believe that the vehicle has in effect been used in a manner that amounts to undue care and attention or inconsiderate driving. There are a few caveats however. The officer is required to warn you first, and this warning needs to have occurred within the past 12 months, by himself or another officer. Section 165A of the Road Traffic Act covers the seizing of vehicles for no insurance offences. In simple terms, if you are not insured for the vehicle then the police have the power to seize the vehicle, remove it to a compound and either fine you before it is returned, or is empowered to have the vehicle crushed. If you take a chance by driving without car insurance, this can be the result. Technically you don’t legally have to have your insurance documents with you, so in normal circumstances most officers will allow you time to produce, but this isn’t always the case. There are many documented instances where drivers have been left at the roadside because of S165A.